These Betsey Johnson earring make any outfit pop with the beautifully placed crystal accents and gold tone. The round crystal and mismatched shape make this item extremely unique. Each handmade, this one of a kind gift is a winner! This beautiful set of feather earrings are not only beautiful, but also high quality sterling silver and a heavy turquoise gem weight. 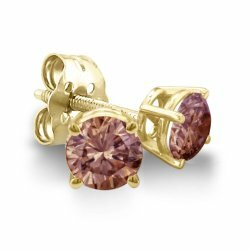 The specially cut shape of the stone adds a delicate look to the already beautiful set of earrings. 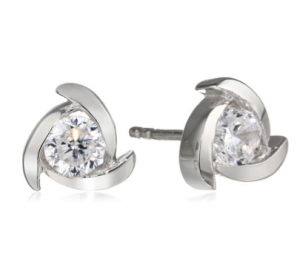 Show your girlfriend she truly is a princess with these beautiful Sterling Silver and Cubic Zarconia earrings. Crafted in beautiful sterling silver and Rhodium plated, these triple A graded CZ stone create a diamond look at a significantly lower price. 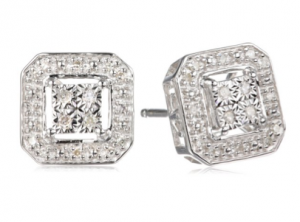 You cannot go wrong with these quality earrings for your princess.